Christine and I are very excited to announce a new partnership with Rever Moto for our Mountain Pass Project. We’ve been using the Rever app on our phones to navigate to each pass, record our routes, and post each recorded ride to our website after the ride. After talking to Rever about our project we enthusiastically agreed to become Rever Ambassadors. Rever is free mobile app that allows you to plan your ride (optional) and then track things like distance, time, speed and elevation. If you upgrade to their premium version you’ll add the ability to save maps for offline use, see Butler segments right on your phone or computer, export GPX files, create groups, and ride with your friends. If you loose someone you can even see where they are in relation to you. We’ll be doing a more in-depth review soon to show you all of the features we use in the field. 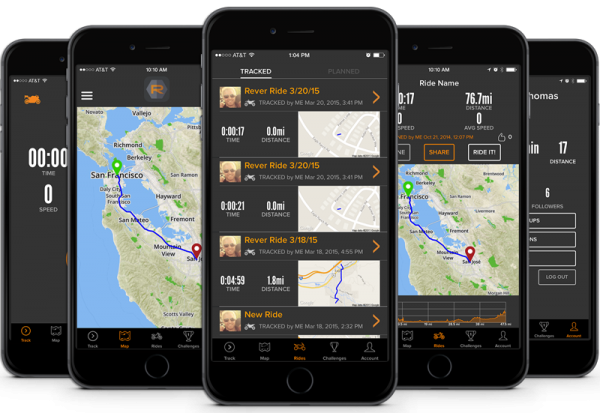 For now, check out some of our past rides that we’ve posted through Rever and download the app to your iOS or Android device and start using it for free.